There are no comments for Vintage Poster - Derby Day. Click here to post the first comment. 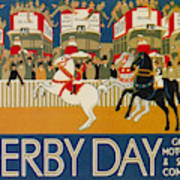 Hip, cool vintage poster depicting a parade of horses in front of crowds and double decker buses. Retro European Derby Day advertisement from London, United Kingdom , very colorful and fun. 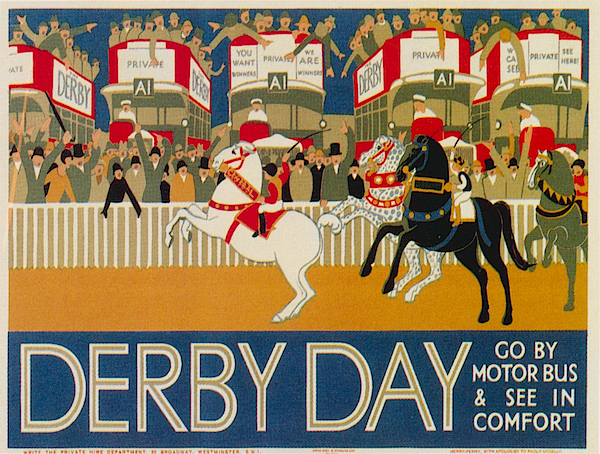 Please enjoy our collection of vintage posters. These retro advertisements span travel from airlines to railways and span the globe from Europe to Asia. 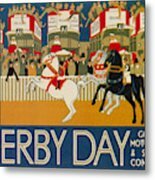 These vintage posters also include military propaganda, print and poster advertising, and classic reproductions from American and world history.